for $264,500 with 3 bedrooms and 2 full baths. This 1,755 square foot townhouse was built in 2010 on a lot size of 0.103 Acre(s). Amazing Mark Payne resale home on corner lot in Monterey Townhomes. Home has been kept up beautifully. Living areas have beautiful concrete floors and the bedrooms are carpeted. Landscaped beautifully. Large covered patio, perfectly compliments the well manicured lawn. HOA covers yard maintenance and watering as well as exterior insurance. Showings 9am - 6pm. 1 hour notice. 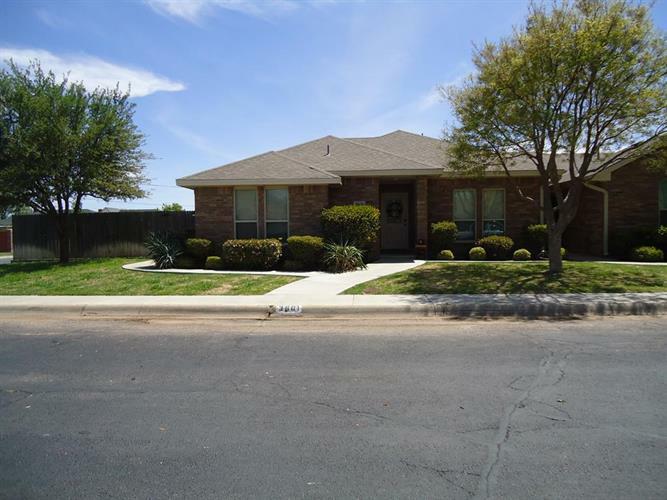 The data relating to real estate for sale on this web site comes in part from the Internet Data Exchange Program of the Permian Basin Board of Realtors. Real Estate listings held by brokerage firms (licensees) other than Weichert Realtors include the name of the listing brokers.